Amethyst eau de parfum for women is a sparkling floral and fruity fragrance that's perfect for dayti.. 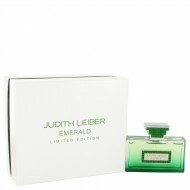 This fragrance is a crisp green floral with an adventurous side. Allow your day or evening to be em..
With strong and sultry notes of rum and jasmine, Judith Leiber's Exotic Coral fragrance is an ideal ..
Judith Leiber Minaudiere is a blend of fruity and floral accords that is light, sweet and well-round.. This fragrance was released in 2017. A magnificent oriental spicy perfume for women. This masterpi..
Sensual yet sweet, crisp yet graceful, Judith Leiber Ruby is a complex and enchanting blend for the ..
Judith Leiber Saphire is a blend of floral and musky accords that is invigorating, complex and fasci..